In the 1990s, Graeme Obree and Chris Boardman began experimenting with bike positions and designs in an effort to improve aerodynamics. The UCI, however, eventually outlawed the radical bikes and positioning made famous by the duo, and in 1997 the UCI brought in new rules restricting competitors to traditional equipment. L'histoire de vélos du record de l'Heure ! How will their proxy interfere with ours? Or h more generally? Linking to the article also allows the Library to track use and obtain data about the importance of a particular journal to the campus. While there may be good reason to upload articles to the LMS, it is important to consider that doing so may mean that your students do not have the most recent version of the article. It is not unusual for publishers to make corrections or changes, such as adding supplementary material, to articles after initial publication. Argument for permalinks v downloads. The libraries recommend that you link articles from the library databases to your course in lieu of making the pdfs available. This seems the norm though not strictly enforced in practice. That is, libraries say this is what you should do, but profs keep PDFs of articles locally, etc. Article content must reside on the EBSCOhost servers due to licensing restrictions. In a perfect world, the author would sell you a license to the book and you'd just read it on whatever platform suited you. For now, the leading ebook providers are not making this easy so I end up with some titles (and associated annotations) on one platform and other titles on another, which is far more complicated than it needs to be. élément important, s'il en est, de la structuration de notre espace numérique. Elle est aussi symptomatique de la tension qui nous traverse entre le désir d'unifier des éléments en les rassemblant sous un même "genre" et d'en maintenir la distinction afin qu'ils conservent leur individualité. Par contre le malaise est ressenti lorsqu'on y incorpore des personnes morales. Mais cette résistance s'évanouit peu à peu. Est-ce tant mieux ? It would be nice if comments and annotations could be voted by people, and have the possibility to sort them chronologically etc. Here's the beginning of the first excerpt we're focusing on for Week 2: Section II, parts A & B. The second excerpt is below, Section III, Part A, subsections 1 and 2. We are focusing on specific excerpts to make this lengthy document a little more manageable for this iteration of the project. That said, you are of course welcome and encouraged to annotate any part of the document you find noteworthy. the H-LAM/T system's repertoire hierarchy. These words mark the end of the first excerpt we're focusing on during Week 2 of the first iteration of the Engelbart Framework Project. We'll focus on the rest of Section II, probably the hardest section of the document to understand readily, in a subsequent iteration. As always, you're welcome and encouraged to annotate you find noteworthy in any part of the document. Can Genius beat the rap? For Andreessen, the mission was personal. Before starting his venture capital firm with Ben Horowitz, Andreessen had co-invented Mosaic, the first web browser. Biomed Central and ResearchSquare have partnered on a project called InReview, which enables community feedback in parallel with traditional peer review. More on that project here. American Society for Plant Biologists is using Hypothesis annotation to draw the reader's attention to Peer Review Reports, publications that were previously hidden in supplementary materials. An example can be found here. And a list of all articles where such annotations have been added can be found here. We believe that a “publish first, curate second” approach with the following features would be a strong alternative: authors decide when and what to publish; peer review reports are published, either anonymously or with attribution; and curation occurs after publication, incorporating community feedback and expert judgment to select articles for target audiences and to evaluate whether scientific work has stood the test of time. These proposed changes could optimize publishing practices for the digital age, emphasizing transparency, peer-mediated improvement, and post-publication appraisal of scientific articles. This seems like a great argument for open annotation. Type hints cheat sheet (Python 3)¶ This document is a quick cheat sheet showing how the PEP 484 type annotation notation represents various common types in Python 3. You can learn more about Hypothesis annotation tools and practices on their website. Academics will be able to give feedback at the same time the research is actively taking place; and it will be as though scholars are directly connected to each other in the same lab or institution. Web annotation, for example, is catching on as a new mode of collaboration, peer review, and other research functions. And the combination of community feedback on preprints with traditional and post-publication peer review through collaborative annotation is catching on with a variety of publishers. See InReview by BMC and ResearchSquare. Also COS preprint servers such as SocArXiv and Psyarxiv. HIghlight some text, then click the highlighting tool. Highlight text, then use the comment tool. (Hmm..had to click the list button in this line again???? This is bold text. * Here's italicized. * Definitely not WYSIWYG as in a word processor. Could be improved. In preview mode, my bold and italicized text don't show up correctly???? You can login to your Genius account to check your annotations and therein, you can also use the "Share" button to share an annotation via link or via Twitter or Facebook. In spring of 2017, Genius announced a pivot back to music video. While you can still create an account, you can no longer get access to the plug in to use it on sites where it is not supported. Unless, for example, annotation was baked into the platforms, and offered any reader the opportunity to collaboratively discuss. I wanted to stick my 10-cent eulogy between those lines for others to read, and to read what those others had thought. Purchasing a book is one of the strongest self-selections of community, and damn it, I wanted to engage. With Hypothesis, you could engage like this. we are also most pleased with developments that allow online annotation for all our books via Hypothes.is. And we are pleased to be working with you! In my work, I have strayed far from a background that includes a MA in English Literature and teaching K-12 students written composition. I’ve focused on teaching or analyzing written communication or networked online discourse in the higher education, especially at the graduate level, for the past 16 years or so. But this work, annotating in the open not just for an individual, the teacher who grades the assignment, hits close to my heart in teaching K-CEO learners to write for an audience. This passage in Vannevar Bush's "As We May Think" may be the first mention of what we now think of as digital annotation. The passage in the original article is slighly different... you can see it here. Read annotations on "Leveraging Technology to Create Social Readers" in EDUCAUSE Review. Sign up or log in above to add your own annotations and replies. The role of touch in the multi-sensory experience of reading turns out to be as important as we intuit it to be when we hold a volume or turn a page — or better yet, when we mark it up. I've found that the way I read and my reading retention have changed since I started to regularly use digital annotation. The act of selecting what sentence to highlight, how to tag passages and articles, and what to make public has changed how I feel about reading online. I still prefer paper for pleasure reading, but for news, research, and collaborative reading, digital now works just fine for me. Similar to the annotations in Foster Wallace's writing (footnotes on footnotes) and Jorinde Voigt's writing. The compulsion to annotate and explain is so strong, that it overwhelms the original text. code for transforming Annotator JSON into Web Annotation's JSON-LD with the most minimal, unsmart means (read: doesn't understand graphs) sort of way possible. Doing the same in digital is incredibly hard without programming skills (see the low success rate above) or expensive tools, even when the closed silos allow it. Annotation with a standards-based open tool provides great utility in this regard, without the need for programming skills. Between publishers' higher costs of textbooks and students' struggle with large amounts of reading materials, getting students to both access and engage more deeply with texts is a challenge. Two challenges that #OER and #annotation together can provide infrastructure to help solve: the high cost of learning materials and engaging teachers and learners in social reading, discussion and analysis. Issues to solve: both OER and annotation don't require digital reading, but are both made more powerful through it. Yet technology access and reading preferences don't always support to digital reading. Solution: Explore online and offline, digital and print experiments in OER and annotation/social reading. Ceci est une note de page. Elle peut inclure un lien vers une autre page, que celle-ci soit connectée ou non via Hypothes.is. Voyez dans l'URL le préfixe qui assure que l'on peut annoter celle-ci. Mais avec ce blogue on n'en a pas besoin car son auteur a déjà inclus un code permettant de l'annoter par défaut (à condition de s'être créée un compte hypothes.is). Annotations can be created or retrieved through an API. More on Hypothesis documentation and Public API here. The W3C model allows for users to add a motivation to their annotation. You can find out more about W3C annotation motivations here. 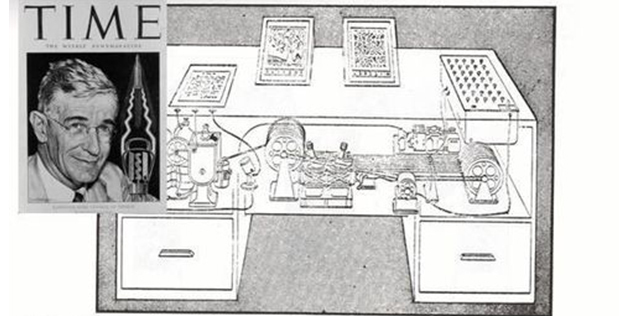 Here is a sketch of how Vannevar Bush imagined the Memex. Since 1993, when Mosaic first briefly experimented with native annotation, dozens of projects have tried without success. Here is the user guide created for making annotations on Mosaic. Check out our documentation for the h code base to learn about what we’ve built and how to use our public API. Check out our Scholarly Kitchen blog post on open annotation. Details the wide ranging possibilities around motivation. Hypothes.is: A social annotation tool. I'm quite excited that we'll be using this tool in class. I just came across a tweet (and blog post) about annotating your syllabus, and I was curious about how it might work with students. I'm happy to be experiencing it as a student! I'm interested to see how everyone uses it! They did that to the point where there were more asterisks on the page than stars in the sky. Despite all this, the annotations did not mean anything to the students. Keeping in mind that different people learn in different ways, there's another possible way of looking at this. Some people learn better aurally than visually. Some remember things better by writing them down. I know a few synaesthetes who likely might learn better by using various highlighting colors. Perhaps those who highlight everything are actually helping their own brains to learn by doing this? This said, I myself still don't understand people who are highlighting everything in their books this way. I suspect that some are just trying and imitating what they've seen before and just haven't learned to read and annotate actively. Helping students to discover how they best learn can be a great hurdle to cross, particularly at a young age. Of course, this being said, we also need to help them exercise the other modalities and pathways to help make them more well-rounded and understanding as well. I believe, and I try to emphasize to the students, that annotation is a deeply personal activity, my annotations may look different from yours because we think differently. We often think differently even on different readings. Sometimes upon re-reading pieces, I'll find and annotate completely different things than I would have on the first pass. Sometimes (often with more experience and new eyes) I'll even disagree with what I'd written on prior passes. Social media networks provided immediate solutions to a few problems with those early blogging networks: they relieved the moderately heavy lift in getting started and they created the possibility of connections that were immediate, dense, and growing. But as those networks expanded, they both pulled authors away from their own domains — so much quicker to tweet than to blog, and with a much speedier potential response — and they privatized and scattered conversations. Exactly the use case that annotation is hoping to solve! Enabling the connection between different sites. Marginalia#section5 With Webmention support, one could architect a site to allow inline marginalia and highlighting similar to Medium.com’s relatively well-known functionality. With the clever use of URL fragments, which are well supported in major browsers, there are already examples of people who use Webmentions to display word-, sentence-, or paragraph-level marginalia on their sites. After all, aren’t inline annotations just a more targeted version of comments? Absolutely. This is what I'd love to have with Hypothesis. A verb for Open Annotate can be called "opnotate". And a noun for open annotation can be "opnotation". commenting on specific paragraph or line. Here is my effort to be more hands-on with my annotation. explaining his editorial procedures and adding his own observations and reflections, which are so extensive that they eventually overwhelm Zampano’s text. Tagging systems have sometimes been classified into two kinds: top-down and bottom-up. :142:24 Top-down taxonomies are created by an authorized group of designers (sometimes in the form of a controlled vocabulary), whereas bottom-up taxonomies (called folksonomies) are created by all users. People use tags to aid classification, mark ownership, note boundaries, and indicate online identity. Tags may take the form of words, images, or other identifying marks. An analogous example of tags in the physical world is museum object tagging. People were using textual keywords to classify information and objects long before computers. Computer based search algorithms made the use of such keywords a rapid way of exploring records. About 600,000 people visit News Genius a month, Lehman said, a figure that had grown 10 times since before President Donald Trump was inaugurated. And the number of people who annotate a post on Genius each month is now at 10,000, up 30 percent from the start of the year. “More people are using News Genius now than ever,” Lehman said. Meanwhile, overall traffic to the website and apps has grown to 62 million a month. Soon after, Genius made a definitive push to realize Andreessen’s vision. By 2015, Genius claimed 40 million visitors to its website a month, 1 million of whom had annotated a post. But it faced a storm of criticism last year after some writers complained the tool was being used to harass them. The annotator also raised concerns that it could have been used to inject malicious code onto visitors’ computers, though it’s since been tweaked to address that vulnerability. In January of that year, the company began testing a tool called the web annotator, which allowed anyone to add genius.it/ before any URL and then highlight and annotate text. “The change we made in January was in recognition of the fact that we needed to shift resources from capturing knowledge — which we've been doing almost exclusively for the past five years — toward packaging and distributing knowledge into easy-to-consume formats like video and Spotify Behind the Lyrics,” Lehman told The Verge. The combination of human expertise and automated analysis can exist in multiple overlays. Climate scientists, economists, political analysts, and automated fact checkers might converge on a single sentence in a story on climate change. Nothing depends on any domain-specific vocabulary or schema. Annotation is simply the connective tissue that makes statements in web pages addressable, and binds those addresses to conversations, supporting documents, source data, or truth claims that bear on annotated statements. The annotated web embodies that pattern. Systems that embrace it will tend to work well with one another. 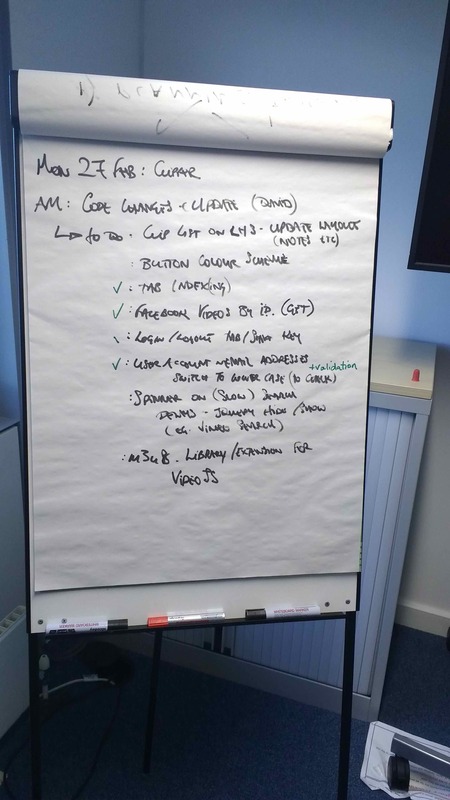 Their outputs will be available to mine, crosslink, and remix, and those activities will drive collective improvement. The web we know is an information fabric woven of linked resources. By increasing the thread count of that fabric, the annotated web enables a new class of application for which selections in documents are first-class resources. I like the way that MN does inline annotations within his comments section. I don't often see this, but it's relatively well done, and certainly manually at that. Sally Lehrman, senior director of the journalism ethics program at the Markkula Center for Applied Ethics, leads its signature Trust Project, a complex international collaboration that she began building in 2015 to strengthen public confidence in the news through accountability and transparency. Check out this shout out from the American Press Institute. We’re now in a transformative stage as new tools such as ‘commenting’ emerge that can support a collective reading experience. These innovations allow readers to ‘engage’ with content in new ways. Or better yet--in-line annotating! Open interoperable standards-based annotation, of course. Most scholars of hypertext of the time pointed to Vannevar Bush's 1945 article "As We May Think" as an important precursor to the Web and as providing important guidance for necessary development. Bush's model of hypertext was much richer than that of the early Web. Among other things, he envisioned people who would put together articles (or "trails") by finding a sequence of useful pages in different sources, annotating those pages, inserting a few pages of their own, and linking it all together. While the Web had "live links", those links were limited to the original authors of the text, so The Web provided essentially none of the features necessary for Bush's more collaborative model. Anchoring annotations to specific portions of text, rather than in disconnected scrolls at the end of articles. So important. Pushing comments to the bottom not only disconnects them, it makes them look ancillary. They can be crucial. This structure reproduces the old hierarchies, with commentators as bystanders whom you can avoid. This is my annotation post. A high-level technical explanation of how Dropbox's PDF annotation interface is implemented. Of course Hypothesis uses threading as well. This authentic discourse is definitely better achieved via annotation in which students self-select passages to annotate and annotations to reply to. 6. It should be possible to further qualify a reference to a "sublocation" within an object (which would have meaning only to the server that houses it). This is needed, for example, for hypertext-type links. Such a sublocation might be the 25th paragraph of a text, for a hypertext-type pointer. Periodically it collects and stores information published on the web. Then, it processes the collect data to make it searchable, providing a “Google-like” service that enables searching the past web (English user interface available at www.archive.pt). This preservation workflow is performed through a large-scale distributed information system. But if they are learning how to build on the Web they probably need to know something about becoming findable (or unfindable) on the Web. And by extension they need to understand how the power behind that findability is impacting the course of human history. 12 months ago if I had said that, some people would have rolled their eyes at me, but I think it’s safe to say that in the last 9 months we’ve all realized just how powerful algorithms are in shaping the outcomes of our culture. This is a pretty useful example of a paragraph with subtext, don’t you think? Could easily imagine future readers and annotators coming to this passage and scratching their heads for a minute while looking at the date. What happened nine months before June 2017? Living outside the US, it took me a few seconds to guess it (and my guess may be wrong). Of course, Martha was “playing for the audience” (though DoOO is having an impact outside the US). There’s indeed a shared understanding that events in the political arena may be relevant in our work on digital literacies. Therein lies the rub. Especially if this is to be “easy”. if cross-format identifiers like DOIs are used, annotations made in one format (eg, EPUB) can be seen in the same document published in other formats (eg, HTML, PDF) and in other locations. Whaa..? This sounds seriously hard. But remarkably clever. Which is probably why @judell’s tate doesn’t show up in Chrome on my system and there’s weirdness with the scrolling once we accept to load unsafe scripts. Wiley (and a cluster of other OER advocates) insist that creators must use a CC-by license, allowing commercial use, if they want their work to be considered open. Ha! So that’s where the comment about Rory McGreal should come in. Hence the need for #OpenAnnotation to pair up with some of the other opens. Hypothes.is people are doing their part, but still. Link suggestions don’t even have to live in a separate meta box. Years ago, link suggestions were pretty high on my wishlist for WP. Did notice early implementations of this feature but haven’t used the improved version. It does sound like the current version is pretty useful and can lead to something interesting. Might also work well with annotations, come to think of it. One must also be able to annotate links, as well as nodes, privately. Tim Berners-Lee calls for annotation in his original proposal for the web. This should be the tagline for annotating in education. Pretty good definition of social reading in fact! It is supposed probable that a building of somewhat more size in the middle of the grounds may be called for in time, in which may be rooms for religious worship under such impartial regulations as the visitors shall prescribe, for public examinations, for a Library, for the schools of music, drawing, and other associated purposes. In the nineteenth century when all other universities were religiously affiliated, it seemed odd that rather than having a church at the center of the campus, UVA would have a Library as its focal point. This plan reflected Jefferson's belief that the church should be separate from the state and since this was a state school, it had to be in accordance to this ideal. Therefore, the Rotunda, which was the building that ultimately replaced the typical church, represented/ symbolized the "Virginia Statute of Religious Freedom" because it separated the school from any specific religious affiliation, allowing for a free expression of faith on campus. This plan also reflected the idea that knowledge should be the driving force of humans and is the most important and powerful weapon one can have. The Rotunda can be defined as a "temple of knowledge" because it celebrates education. Further, in my engagement class, Making the Invisible Visible, we discussed how some locations are places while some other are sites. The difference between these two is that places evoke familiarity and are meant to represent something important in people's lives while sites resist familiarization. The Rotunda could therefore be considered a place because it draws people in and it has certain features that makes it a memorable, unique place. The grandiosity of this building makes people feel like learning is an awesome thing, which accomplishes Jefferson's goal of celebrating knowledge over all things. banishing all arbitrary & unnecessary restraint on individual action shall leave us free to do whatever does not violate the equal rights of another. This passage was one of the most baffling ones I found in the Rockfish Gap Report because it is not only ironic but it seems to be very untrue. I do realize that the meaning of "equal rights" during the time of UVA's construction and founding is not the same as today's meaning, the one I am most familiar with. But I believe that as educated scholars and active members of the community, the authors of this document and founders of this university were aware of the inequality that existed at the time. In my engagement class, Making the Invisible Visible, we have discussed issues regarding Thomas Jefferson's thoughts on slavery. After analyzing some of his personal texts, we concluded that he was aware of slavery's perverse end and he knew that it did not contribute to equality among all human beings. However, he believed that in order to keep the structure of society, slavery had to exist. Thus, I believe it is very hypocritical that, knowing the inequality present in a society where slavery was still prominent, the authors of this report still decided to include "not violate the equal rights of another." I would feel more comfortable if they had not included this part or if they had specified who "one another" meant, which obviously meant "whites." Nonetheless, I understand that the report's intended audience was all educated white people, thus it must have felt useless to specify who "one another" meant if only one specific group of people was supposed to read it. we must routinely and explicitly give them structured practice opportunities to critically examine their own thinking. Page notes in EPUBs are related to the webpages that embed the specific EPUB. This is something I would like for my iPhone as I use the share sheets a lot, but I'm not sure how widely they are used. One line of code adds open, standards-based annotation to any website. So again, the idea that we wanted to facilitate not close off discussion of papers. shift to a commitment to engage with readers in the context of a subject. I think about this a lot now that my business is annotation. And if I highlight and annotate the copy on my site (http://boffosocko.com/2017/01/19/obamas-secret-to-surviving-the-white-house-years-books-the-new-york-times/), the question is: will it also appear on the original? Yes, in fact it does! 2. Staying with a closed, proprietary system & not moving to the adoption of open standards. I concur. Diigo could have been a leader in the social annotation space, way ahead of Hypothesis. But now I think H is gaining more momentum than Diigo, because it adheres to open standards. Currently we have an extension for the Firefox web browser and extensions for Safari and Internet Explorer are in the works.